Strawberries and cream on the lawns of Wimbledon are an unforgettable treat. Every July sees this world-class sporting event, unique in the tennis world, turn a south-west London suburb into an international playground. The Championships, as they are called, are played out over 19 courts tucked together like a jigsaw puzzle, as creamed teas, scones and chilled Pimm’s is served with perfectly diced cucumber, strawberry and fresh mint in a classic English setting. Celebrities fly in especially, to take their coveted seats for this much-talked-about annual event, hobnobbing with an elitist A-list. Television crews focus on capturing the game, though often turning their cameras to the royal box, where members of the royal family are sometimes seen to be playing musical chairs and adding to the high-adrenaline drama with distracting, eye-catching fashion statements. Tickets are expensive and difficult to get for this much-sought-after tournament. An inside tip for those looking for a bargain and eager to get a taste of Wimbledon, is to get there a day early; several hundred centre court and other tickets are released the day before play at 9 a.m. which are instantly grabbed by those waiting in the long queues. 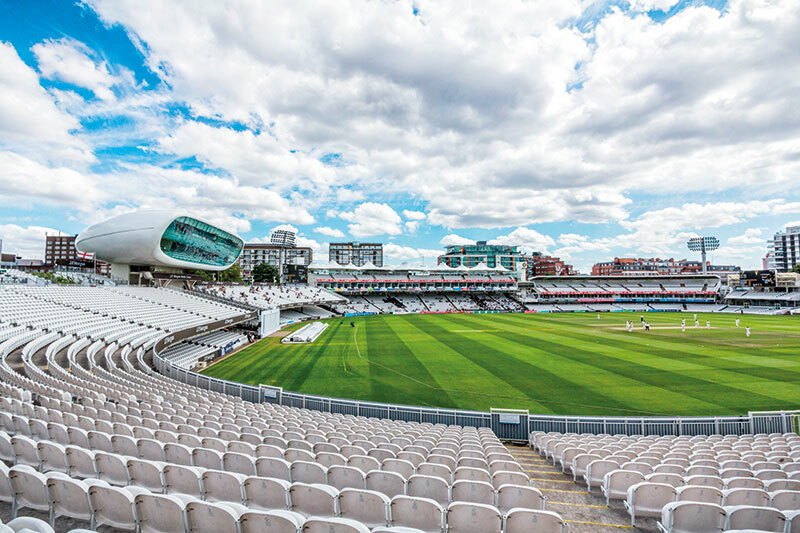 In addition to hosting sporting events like Wimbledon and international cricket matches at Lord’s, London has much to offer those wanting to add a spring to their step with summertime activities. The Regent’s Canal is a scenic haven loved by boaters, walkers and cyclists. Overlooked by a vast aviary which is part of the London Zoo, it moves along to Camden, a centre of London’s alternative culture. A stress-busting walk (popularly known as the canal crawl) from Paddington to Limehouse in East London, well away from the usual tourist hotspots, shows that the true breadth of the capital lies spread out along its banks. From multimillion-pound villas to council estates and high-tech offices, from mosques to markets and from giraffes to ducks; all of London life is here. The canal also meanders through Regent’s Park which is home to the Open Air Theatre. Being entertained under a blue sky on warm evenings brings its own magic. From mid May until September, exciting theatre productions are held in a natural outdoor arena. The plays planned this summer are On the Town, A Tale of Two Cities, Oliver Twist and the award-winning musical Jesus Christ Superstar. These productions entice audiences with exciting stage effects and moving music while the sun slowly turns the sky pink. Actors that have performed here include Judi Dench, John Malkovich, Ralph Fiennes Felicity Kendal and Benedict Cumberbatch to name a few. Tickets are available on their website and if you are lucky, you may find yourself seated next to Danny Boyle, as I did last summer. Watching theatre is an intrinsic part of British culture and most of London just cannot stop harping about the much-acclaimed, award-winning play Harry Potter and the Cursed Child. It is based on the original story by J. K. Rowling and is staged at the Palace Theatre on Shaftesbury Avenue. It has to be seen in two parts, either as a matinee and evening performance or on two consecutive evenings. This play is running continuously to sold-out shows and is presently scheduled until April 2018, the joke being that it’s probably easier to try and meet J. K. than to be able to watch this mind-blowing performance. Fashionistas should go see the exhibition Diana: Her Fashion Story at Kensington Palace and enjoy an afternoon at the exquisitely manicured gardens. The entrance to the exhibition is included in the price of the ticket, when you visit the palace. From the Emanuel blouse Princess Diana wore to her engagement, to the iconic, dark navy, velvet gown she wore to dance with John Travolta at the White House, this new exhibition charts the Princess’ wardrobe choices. When one thinks of Princess Diana, one synonymously thinks of fashion. And no trip to London can be complete without a shopping sojourn. Strolling along Bond Street and Sloane Street in Knightsbridge bring on an ever-expanding wish list while Marylebone is the new, trendy, spot that is perfect for a quick shopping spree with boutiques such as Joseph, Gerard Darel, Theory and Trilogy and the high-fashion store, MatchesFashion.com. Lastly, but not the least, to enjoy views of London during summertime, one has to see the city skywards. To gain a better perspective, historical architecture should be viewed both from close proximity and height. The new stylish rooftop terrace bars that have popped up are worth checking out, with their tantalising cocktails and DJs on deck. Mark the moment with an Instagram selfie! The Rumpus Room on the 12th floor of the Mondrian hotel in Blackfriars is seductively inviting; its live music and chic American-inspired cocktails have long been much coveted. Another much-hyped spot is the panoramic restaurant and bar Sushisamba. Board the glass elevator and be whizzed along like a high-speed roller coaster to one of the most elevated spots in London, giving you a 360-degree view of the city all along. Another must-visit is the ME London’s atmospheric Radio Rooftop Bar. From their terrace at sunset one can experience picturesque fairy-tale views of almost all the landmarks of London such as London Bridge, The Shard, Tower Bridge, St Paul’s Cathedral, Tate Modern, Somerset House and the Houses of Parliament. Watch the evening lights come on as the ships silently glide by on the Thames, even as you debate on who will win the next Grand Slam.